The coolest cat in the reborn Valiant Universe has just had a pivotal creative team change. 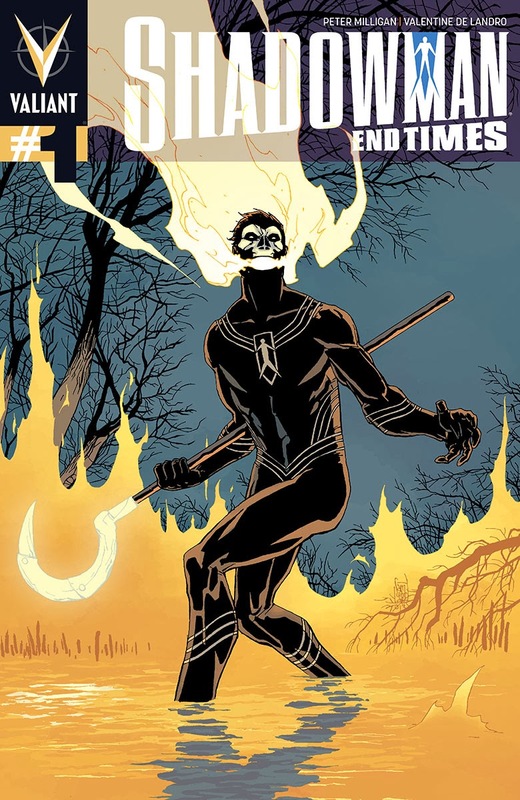 Now Jack Boniface is set to cast an even bigger shadow, with Shadowman: End Times. An oversized, prestige format mini-series by series' writer Peter Milligan and artist Valentine De Landro. With David Mack just one of the artists on cover duty for the three issue romp (others being Giueseppe Camuncoli and Jeff Dekal), End Times is set to be the "beating heart and guts" for all Peter has planned for the core series - making it a perfect jump-on-point for fans looking to thrill to the horrific adventures of New Orleans' most supernatural orphan. Says Peter himself "Jack Boniface thinks that he's finally fixed his life - and the source of the dark power inside him. But when a figure from the past emerges to reveal the troubling truth about his destiny, the latest Shadowman will be forced to run a gauntlet of his darkest fears realized: the rise of a wild new pantheon of Voodoo loas... the return of his father, Josiah...and the earthly restoration of his oldest and deadliest enemy, Master Darque. Make no mistake -- doom is coming for Shadowman...and the devastating consequences are about to lead Jack Boniface to a perilous new turning point!" Yikes! With Milligan at the helm, you know when he says things will go bump in the night that it's no mere 'hit your head on the bed' type thwack we are talking about. So clear some space under the bed for April. It'll be the only place reading April's #1 will feel safe.